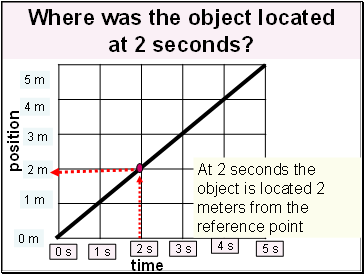 Where was the object located at 2 seconds? 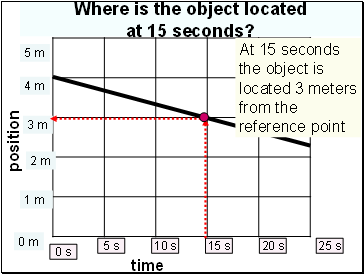 Where is the object located at 15 seconds? 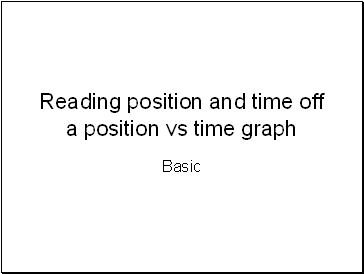 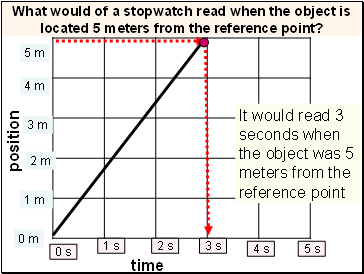 What would of a stopwatch read when the object is located 5 meters from the reference point? 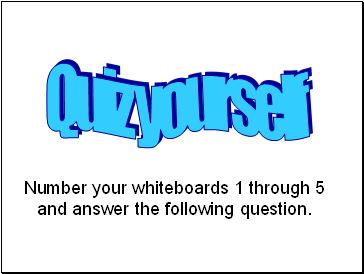 Number your whiteboards 1 through 5 and answer the following question. 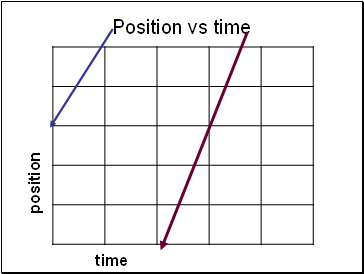 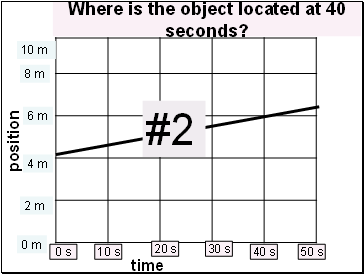 Where is the object located at 3 seconds? 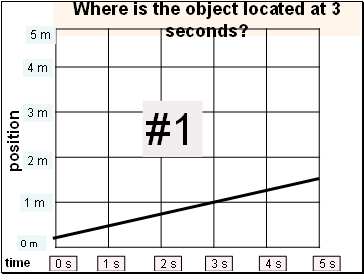 Where is the object located at 40 seconds? 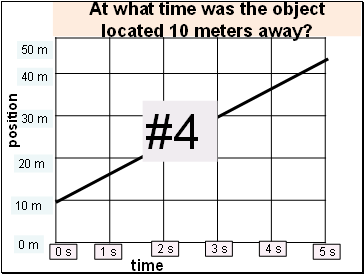 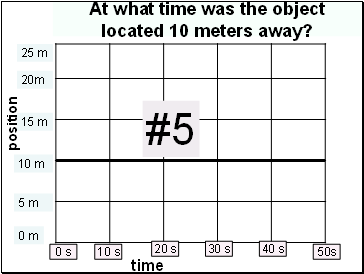 At what time was the object located 50 meters away? 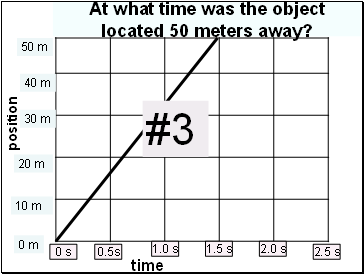 At what time was the object located 10 meters away?